Styles P, Remy Ma, Papoose, Angie Martinez and others celebrities were at the Javits Center Saturday to promote a donation drive for hurricane-ravaged Puerto Rico. A number of celebrities used their voices to spread awareness about donation drives benefiting Puerto Rico as residents across the tri-state on Saturday helped relief efforts for the island nation, which was devastated by Hurricane Maria last week. 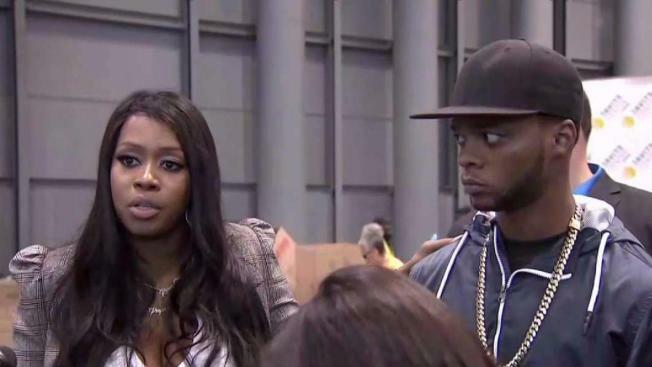 At a donation drive at the Javits Center, musicians Styles P, Remy Ma, Papoose, Angie Martinez and others urged as many people as possible to donate what they could. "Just use your celebrity, you never know. You have a different audience that can reach more people to influence to help out at this time of need," rapper Papoose said. The Javits Center was just one of 19 locations where hundreds of residents dropped off donations throughout New York State. Ten days after Hurricane Maria hit, 95 percent of Puerto Rico is still without power. Although relief supplies are getting in, the mayor of San Juan criticized the federal response, prompting multiple Twitter attacks from President Trump. Chris Pollone reports. "Cleaning products, diapers, sanitation napkins, canned foods, water, clothing, sneakers," rapper Styles P said of the items being donated. The effort is part of the TIDAL X: Puerto Rico initiative, a partnership between TIDAL and Gov. Andrew Cuomo’s Empire State Relief and Recovery Effort. "I'm definitely a Bronx native, so I have plenty of family members and friends that have family in Puerto Rico, that come from Puerto Rico," rapper Remy Ma said. "It's bad, it's really bad." The initiative will send cargo planes full of much-needed supplies to the island. The first plane leaves next Friday and will carry 200,000 pounds of batteries, flashlights, portable lanterns, diapers, cases of water and other necessities. One family drove in from New Jersey to drop off a carload of items. They said many members of their family are still trapped in Puerto Rico, which has suffered water shortages and widespread loss of power following the Sept. 20 hurricane. “Everybody’s okay, thank God,” said George Ulerio. “We were able to speak to them. They had to drive 60 miles to borrow somebody else's phone, but at least we know they're okay. 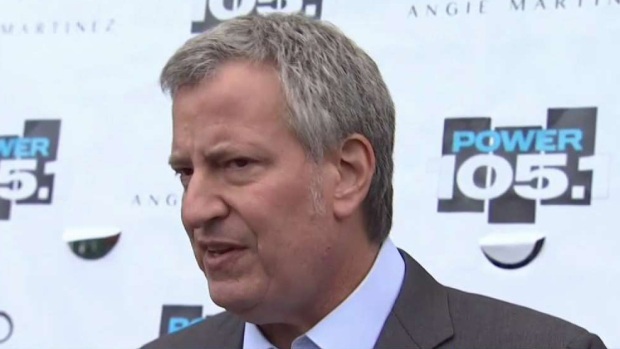 As he attended a donation drive Saturday, Mayor Bill de Blasio said he wants to see President Trump be more sympathetic to Puerto Ricans. He called the president's attacks on the mayor of San Juan and other Puerto Rican officials "unseemly" and "wrong." Millions of people in the U.S. island territory have been impacted by the hurricane. FEMA, the agency heading relief efforts, has sent at least 150 containers filled with relief supplies to the port of San Juan since the storm struck. Earlier this week, presidential spokeswoman Sarah Huckabee Sanders said 10,000 government workers are on the ground helping Puerto Rico recover. Thousands of Puerto Ricans have received water and rationed food as an aid bottleneck has begun to ease. 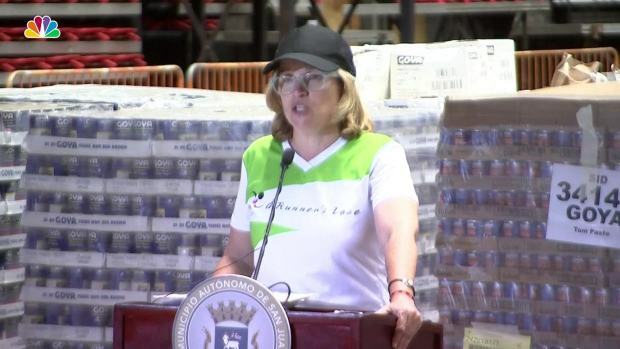 But San Juan Mayor Carmen Yulín Cruzhas criticized the Trump administration Friday for not providing relief fast enough. 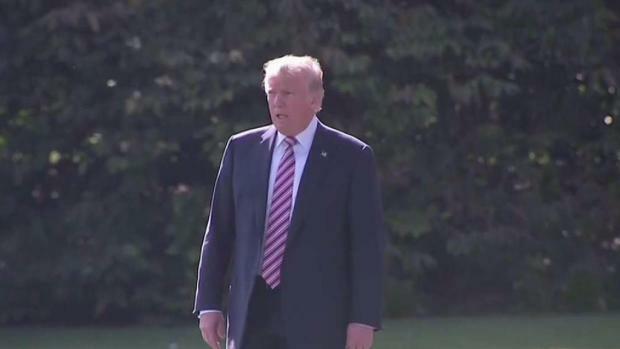 The criticism sparked angry tweets from Trump, who slammed the island's leaders, saying, "they want everything to be done for them when it should be a community effort." At a relief drive at Engine 64 Ladder 47 in the Bronx Saturday, Mayor Bill de Blasio took aim at Trump's repeated attacks on Cruz. He said he wants Trump to be more supportive. "The Puerto Rican people are doing everything they know how to defend each other and support each other in the middle of a crisis, the biggest storm in the history of the island," de Blasio said. "I would like to see the president say, 'We stand with you, we're going to be with you every step of the way,' and honor the fact that people are doing all they know how to do to help each other. Rather than putting them down. It's just unseemly and it's wrong," he said. Telecommunications are back for about 30 percent of Puerto Rico, nearly half of the supermarkets have reopened, at least for reduced hours, and about 60 percent of the gas stations are pumping, but 95 percent of the nation is still without power and many people remain desperate for necessities, most urgently water. "Even if I didn't have family there, even if I never visited there, even if I wasn't Puerto Rican, just seeing people in crisis like this is heartbreaking," radio host Angie Martinez said. "And the fact that our government is not doing enough to help them just makes me realize that we have to do everything that we can." People can donate at TIDAL.com/PuertoRico.